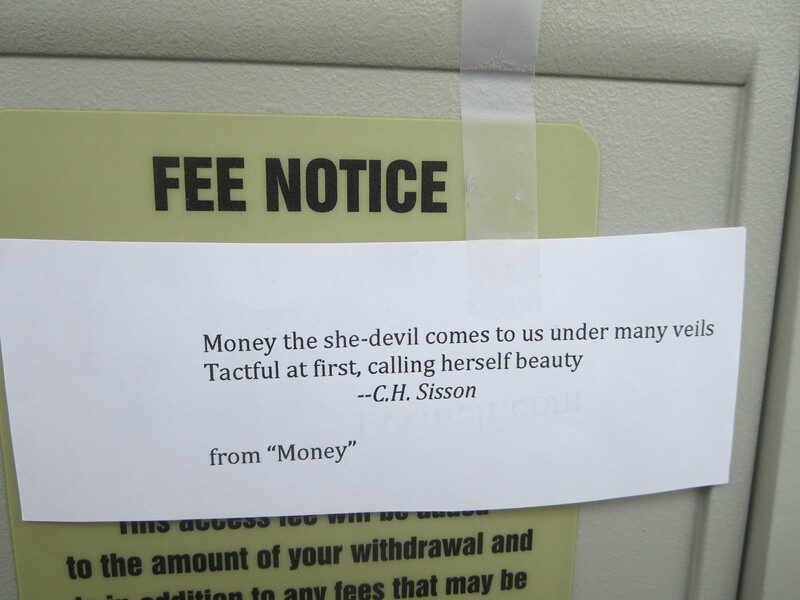 Hard to believe I’ve never left a poem at an ATM before. I rectified that situation today when I taped an excerpt from C.H. 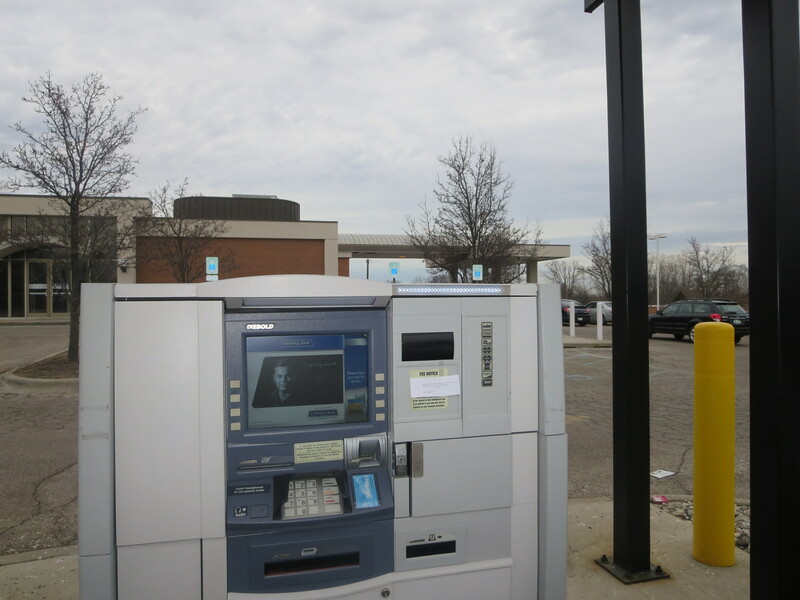 Sisson’s “Money” to a drive-through ATM. Unpleasant sexist poem. Images are misogynist and don’t need to be publicized further than this dated poem. Since I’m leaving this critical comment, I’ll be certain to leave words of appreciation in the future. Yes, you’re right, it is. It gets worse and worse as the poem goes on. The last image of a screeching woman with drooping breasts says more than I want to know about this writer’s mindset. I do regret using this one, not just because of the misogyny, but because it’s so overwritten it gets silly. It seems the poet wants to blame anyone else for his choices, for getting caught in the trap of money, when everyone know we make our own mistakes, as well as our own progress. And your commenter is right, kind of over the top harpy images, as if he were “bewitched” instead of responsible for his life.